Marzoli, the European leader of spinning technology, in its 160 years of activity in the industry has always worked in synergy with the most important yarn manufacturers, maturing unique competences for the implementation of solutions that have been exported worldwide as benchmarks for efficiency, flexibility and quality. 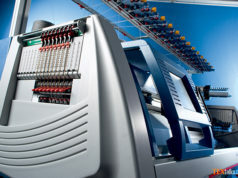 The complete and unique competences on the processes of fiber preparation, spinning preparation and ring spinning have led Marzoli to be the only European manufacturer capable of offering the complete line of machines. But what makes Marzoli really stand out in the industry is not only its capacity of offering the most advanced technology for a completely-automated and well-balanced spinning mill: it is its capability of being a reliable solution provider by drawing on a superior technical and technological knowhow. Perfect fusion between mature expertise and dynamic competence, knowledge and experimentation, Marzoli can assist each client from the preliminary study of the project to the start-up, optimization and maintenance of the production line. Thanks to the global sales and service network, the extensive experience on every type of fiber and the unique background of competences developed in the most disparate projects, Marzoli represents the perfect partner for whoever wants to differentiate and innovate in the textile industry. Today more than ever, given the high instability of the markets and the increasingly-fiercer competition, companies evaluate with maximum care the choice of the right product and the correct investment in technology and production processes. It is fundamental to differentiate and at the same time to remain flexible in order to effectively and rapidly deal with the client’s requests. These are the keys to face and overcome the challenges of the market. Marzoli has found the solution to this by developing a concept of an electronic and fully-integrated spinning mill, where textile technology, high-performance mechanics, electronics and digitalization unite. These are the fundamental ingredients for the realization of a Spinning Mill 4.0: flexible, productive, efficient, digitalized, scalable, opened and predisposed to the developments that the new technologies will bring in the forthcoming years. The constant predisposition towards innovation and the synergies shared with Camozzi Group on IoT and the most recent technologies (Cloud Computing, Smart Sensors, Industrial Ethernet, Machine Learning, …) have enabled Marzoli to interpret the paradigms of Industry 4.0 and exploit them in order to further enhance performances and flexibility of its plants. Marzoli has developed two innovative software platforms that allow an easy and quick management of yarn production and a substantial optimization of the entire spinning process. These two platforms were installed, in 2014, at pilot factories in Turkey and Italy and in November 2015 they were presented at ITMA Milan. YarNet, Marzoli production management software, is the platform that allows to register and elaborate all production data, operating conditions and technological parameters of the machines in real time in one simple, intuitive and well-structured interface and allows the user to interact directly with each and every machine of the spinning plant by downloading, editing and uploading any production recipe. The centralization of all the information about production, efficiency levels, energy consumption, alarms, etc. 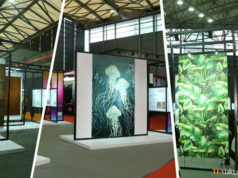 enables the client to have everything under control in any moment and to manage and optimize production from his office. MRM, the innovative software platform for predictive maintenance developed by Marzoli, allows to continuously analyze the symptomatic data gathered by processors and sensors installed in critical parts of the machines to constantly monitor their efficiency. The data about temperatures, power consumption, pressures, speeds and vibrations are gathered and, through a gateway, sent to the Azure Cloud provided by Microsoft. The data are then analyzed through special algorithms developed by Marzoli which continuously verify the monitored parameters in relation to the machine working conditions. If anyone of them is outside the tolerance range, an automatic email alert is sent to the client’s addresses registered in the system. The client can always access the dedicated SW platform where it is possible to see the information for predictive maintenance of the machines and of the overall efficiency of the plant. Furthermore Marzoli’s customer service can access, if necessary, the customer’s machine in order to diagnose the problem and communicate the necessary steps to solve it. MRM discloses the following benefits: prevention of machine failures, longer running life of the machine components and more effective maintenance of the mill. With over 13 million installed spindles Pakistan represent the third largest spinning sector in the world. 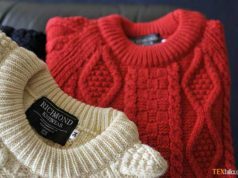 Pakistani mills have always been key international players in the supply of yarn, however the fierce price competition of neighboring countries has been increasingly threatening their competitiveness. State-of the-art technology and continuous innovation may be the way to reaffirm Pakistan as a global leading hub in yarn manufacturing. Particularly beneficial may be the implementation of the new ICTs which disclose substantial benefits which ultimately reduce costs and increase efficiency levels. 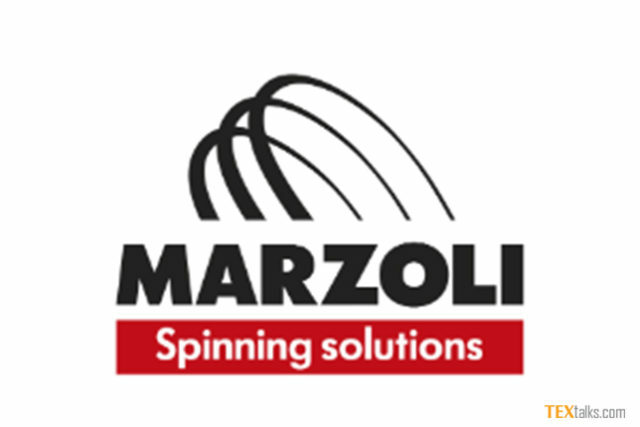 Marzoli, the European leader of spinning technology, through its vast heritage of competences spanning throughout the entire spinning process, the synergies with the Camozzi Group on the most modern ICTs and its cutting-edge software platforms, may represent just the right partner for whoever wants to innovate and stand out in the global competitive scenario.